John Kotter addresses a major challenge facing modern business leaders - how to act quickly and remain relevant in highly competitive environments. Kotter's 2014 book 'Accelerate' updates the influential 8-step process for change to support the needs of modern organizations. Has Kotter's 8-step change model changed beyond recognition? Find out what's new and how the model applies today. We'll start with a brief introduction to Kotter's original 8-step model and quickly move to discover the core changes he proposes in his updated model. 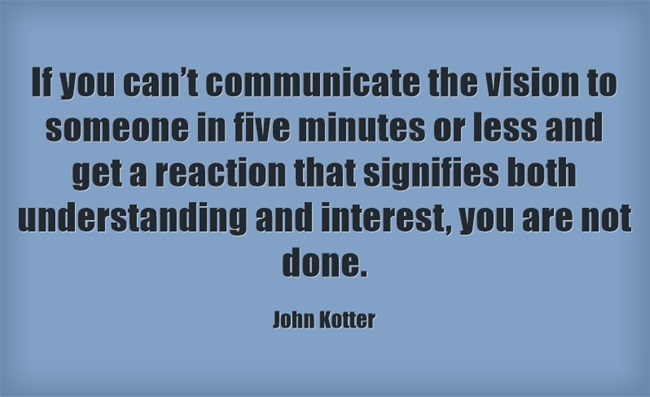 In 1995 John Kotter published an article in the Harvard Business Review (HBR). The article was "Leading Change: Why Transformation Efforts Fail" in which Kotter discusses eight mistakes organisations make that result in unsuccessful change. Error 8: Not Anchoring Changes in the Corporation’s Culture. While the article points to reasons change can fail Kotter also refers to eight phases that are necessary for effective change. It's these eight phases for successful change he explores in his book Leading Change which was published a year later in 1996. "Leading Change" remains an authoritative guide to change management and is named by Time Magazine as one of the 25 most influential business management books. Following the success of "Leading Change" John Kotter wrote The Heart of Change: Real-Life Stories of How People Change Their Organizations (2002). In the book Kotter clarifies the principles of the 8-step change model. A dominant theme of the book is that people really need to feel an emotional connection to truly embrace change. Feelings are a powerful motivator. In Our Iceberg is Melting: Changing and Succeeding under Any Conditions (2006) John Kotter and Holger Rathgeber use a metaphor of penguins and their responses to a melting iceberg to illustrate the 8-step process and make the model accessible to a wider audience. The penguin metaphor worked well and you'll still see pictures of penguins associated with John Kotter's material and on his website. Why fix what's not broken? Kotter's model is a leading model of change, so why update it? It makes sense for an authority in the area of change management to acknowledge that change is constant - and that even the best model of change is not immune to this. Kotter's latest work 'Accelerate: Building Strategic Agility for a Faster-Moving World' (2014) expands on the 8-step model he presented in 1996. In his words: "What I present in this book adds to my prior work. This is not a case in which new realities mean that old ideas are no longer valid. It is more a case of adding to previous conclusions in a way that takes us to some very big new ideas." (Kotter, 2014: ix). Once again, 'Accelerate' began it's life as an award-winning article published in the Harvard Business Review (HBR) in 2012 and was transformed into a book two years later. 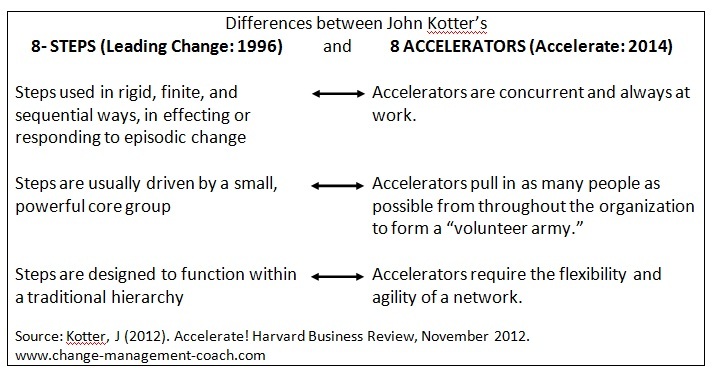 I really recommend you read the HBR article 'Accelerate' to get to the core of Kotter's updated 8-step model of change. So what's new about the 8-step model of change? Not too much ... if all you do is compare the eight step process. You have to delve deeper to understand how John Kotter aligns the eight-step model to today's competitive and demanding business environment. I'm going to make this easy for you. Today business must continuously monitor threats and opportunity and take action immediately. Change is constant and organizations need to be flexible and ready to respond at any time. 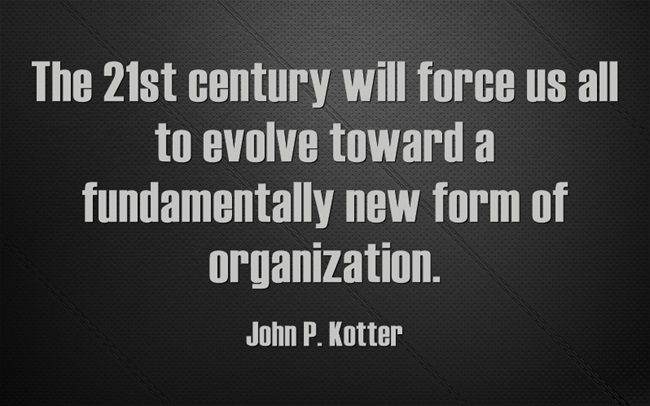 This reality led Kotter to propose that the structure of modern organizations does not allow them to manage rapid change. According to John Kotter established organizations are restricted by hierarchical structures that limit their agility. Hierarchies support efficient and effective day-to-day business procedures but they struggle to manage change at the speed demanded of them. They are slow to take advantage of opportunities and respond slowly to threats to the business. John Kotter notes that most businesses begin as very flexible networks which, in the course of time, take on a hierarchical structure in order to manage growth and ensure efficiency. While this is practical and gets the job done hierarchical organizations cannot respond quickly to threats or opportunities. "The solution is not to trash what we know and start over but instead to reintroduce, in an organic way, a second system - one which will be familiar to most successful entrepreneurs." (Kotter, 2014: viii). 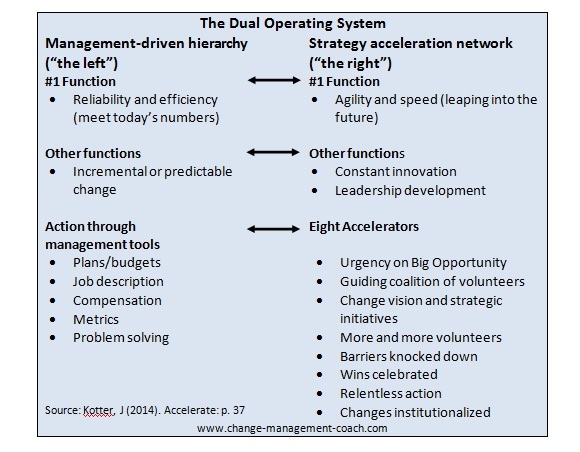 The new Kotter change model proposes a dual system composed of the existing hierarchy and a second operating system that is able to respond quickly to change and opportunities. This second operating system has a network-like structure and closely resembles the network-like structure of a start-up company. The network he proposes is a second system that complements the existing hierarchy and company freeing it to do what it does best. This complementary system focuses on continual assessment, reflection of the company within its existing ecosystem, and an ability to remain agile enough to react quickly and with creativity to change and opportunities in its sphere. "The basic structure is self explanatory: hierarchy on one side and network on the other. The network side mimics successful enterprises in their entrepreneurial phase, before there were organization charts showing reporting relationships, before there were formal job descriptions and status levels." (Kotter, 2014: 20). Many people driving important change, not just the usual few appointees: Kotter's vision is to attract a "volunteer army" of employees from the hierarchy who buy in to the message of change and are committed to it. "We have found that just 5 to 10% of the managerial and employee population in a hierarchy is all you need to make the network function beautifully." (Kotter, 2014: 35). Change is not led by a change management team, but by a motivated network of volunteers. A "get to" mindset, not a "have to" mindset: People must feel they want to be change agents and have permission to do so. The energy associated with volunteers is essential and can only be utilized if people feel that this is something they 'get to' do rather than something they 'have to' do. Head and heart driven action, not just head: You must appeal to people's emotions if you want them to contribute to genuine change. More leadership, not just management: The network is inspired by leaders, not managers. Managers are the core of a successful hierarchy, but the network needs visionary leadership aimed at seeking opportunity and taking quick action. Two systems, one organization: The network and the hierarchical organization is an enmeshed partnership, although they operate in very different ways. 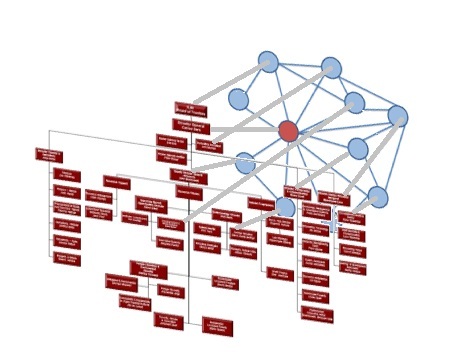 Information flows between them and volunteers in the network have jobs in the hierarchy. 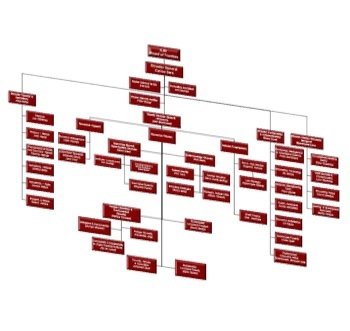 According to Kotter the strategy network and the hierarchy co-exist equally. Core to the strategy network are eight 'accelerators' which enable the network to function, and which you'll recognize from the 8-step process originally proposed by Kotter in 1996. John Kotter still refers to these on the Kotter International website as the 8-step process for Leading Change. Kotter continues to recognize the importance of creating a sense of urgency in order to avoid complacency regarding change. The the concept of the 'Big Opportunity' is introduced as a focus that the organization should align with and constantly reinforce. 2. Build a Guiding Coalition. The Guiding Coalition is central to the network and consists of volunteers representing all levels, departments and skills in the hierarchy. All members are equal. 3. Form a Strategic Vision and Initiatives. The vision statement is created and is focused on capitalizing on the identified big opportunity. It appeals to people's emotions and sets out strategic initiatives to achieve that vision. 4. Enlist a Volunteer Army. It's the Guiding Coalition's responsibility to communicate the vision and the strategy in such a way that employees buy into the message, commit to it, and feel motivated to volunteer to be a part of the change. 5. Enable Action by Removing Barriers. volunteering to deal with an identified barrier and then implementing the solution within the hierarchy. 6. Generate Short Term Wins. The Guiding Coalition must celebrate and communicate visible and significant short term wins in order to generate motivation and confirm that decisions and actions are benefiting the organization. Kotter believes the sense of urgency around the big opportunity must be maintained with new projects, themes and volunteers in order to invigorate people and the process. His catchphrase in the 2012 HBR article 'Accelerate' is "Never let up. Keep learning from experience. Don’t declare victory too soon." Change needs to be assimilated into the organization. It needs to be normalized in the culture of the organization and the link made between the change and organizational success. Methods to ensure leadership development and succession need to be integrated in the organization. The 8-step process continues to be used within the hierarchy to manage 'normal' change processes. High risk change that requires speed, agility and innovation to deal with threats or to take advantage of opportunities is dealt with by the network using the eight accelerators. 8-Steps: 8 Accelerators. Is there a difference? Kotter introduces the concept of the Big Opportunity in Accelerate (2014) as the core around which the 8-step process is focused. Focusing action on a big opportunity helps attract the 'volunteer army' of those employees who are motivated to make a difference in this area and sustains the sense of urgency needed to accomplish the vision. The big opportunity should be rational, emotionally compelling and memorable in order to attract motivated volunteers. Kotter's 8-step process for leading change has been refreshed in order to remain relevant in current competitive business environments. 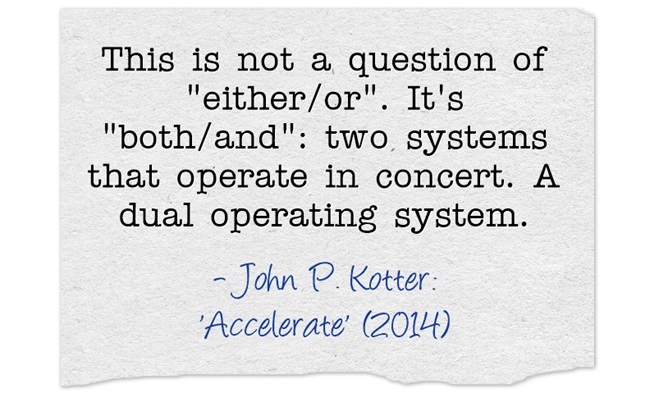 Kotter proposes a dual operating system: the hierarchy to take care of business, and the network to react quickly to change and opportunities. The two operating systems work side-by-side and are both essential for the success of the business. 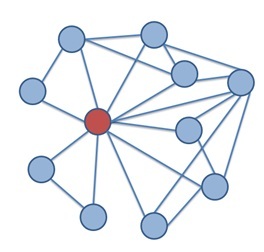 The network uses the 8 accelerators in order to lead change. Action is focused around the Big Opportunity and motivated volunteers are recruited within the network to realize the vision. Kotter, J (1996). Leading Change. Harvard Business school Press, Boston. Kotter, J and Cohen, D (2002). The Heart of Change: Real-Life Stories of How People Change Their Organizations. Harvard Business school Press, Boston. Kotter, J and Rathgeber, H (2006). Our Iceberg is Melting: Changing and Succeeding under Any Conditions. St. Martin's Press: New York. Kotter, J (2014). Accelerate: Building Strategic Agility for a Faster-Moving World. Harvard Business Review Press, Boston.